Hey, guys! Here’s a small update on a Redmi 4X Custom ROMs topic. Yesterday we’ve spotted a two new Android 7.x Nougat Custom ROMs that have just been released and we immediately thought about making a related post here! 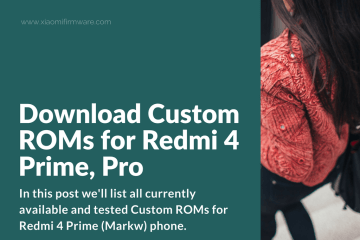 Since Xiaomi Redmi 4X is one of the most popular devices in the market and people are really interested in using Custom ROMs on it. So, I hope you’ll find this post useful! Scroll down to find short descriptions and download links for the latest Android 7 ROMs for HM4X (santoni) phone. Just in case, if you were looking for Redmi 4X Official MIUI Global & China ROM download links, check out this post. Official version of AOSP Extended ROM for Xiaomi Redmi 4X. Ported and based on 7.1.2 MIUI Beta version. Check out the source link for more information about this ROM. Known bugs: fingerprint scanner is not working in this version. Modification of Yureka OS. First startup will be in Russian language, so you’ll need to change it to English or other one. Stock launcher is changed to Nova Mod 5.3 Final. Root is included. If you want to install Gapps, go to http://opengapps.org/ and select ARM64-7.1-Pico. Known bugs: fingerprint scanner is not working. Unofficial release of LineageOS Android 7 ROM for Xiaomi Redmi 4X. Surprisingly, this is a very stable ROM without any critical issues. Check this post for more information and tutorial on how to flash LineageOS 14.1 on your Redmi 4X phone. 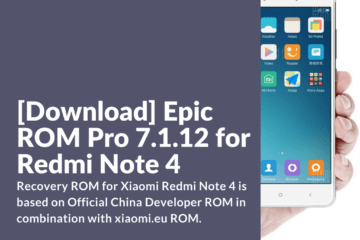 Android 7.1.2 Custom ROM for Xiaomi Redmi 4X. Known bugs: VoLTE and video recording is not working. How to flash AOSP Extended v4.4 on Redmi 4X? Wipe > Advanced > Select “Dalvik/ART Cache, Cache, System, Data, Cust. Go to “Install” and select downloaded ROM .zip archive. Android 7.1.2 Custom ROM for Xiaomi Redmi 4X, developed by ataberkozen. Quite stable and fast ROM. To enable root, download and install the patch below. Known bugs: VoLTE is not working. 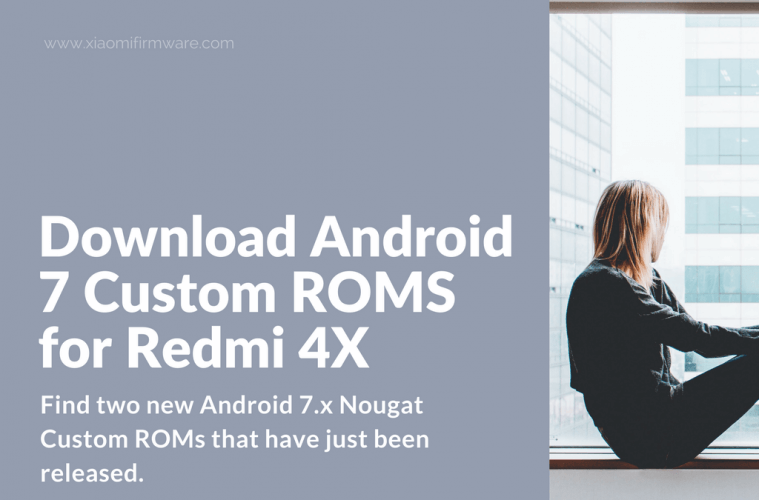 How to flash AICP ROM on Redmi 4X? Another good Android 7.1.2 Custom ROM for Xiaomi Redmi 4X, developed by ataberkozen. 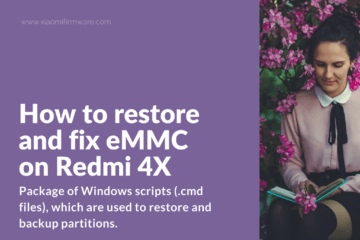 How to flash crDroid on Redmi 4X? Fresh version of long-awaited unofficial Resurrection Remix 5.8.3 Android 7.1.2 ROM for Xiaomi Redmi 4X. Boot in TWRP Custom Recovery. Go Wipe > Advanced > and select Dalvik/ART Cache, Cache, System, Data, Cust. Go to “Install” and select downloaded Resurrection Remix-5.8.3 .zip archive. Install Gapps (optionally). Download “ARM64 / 7.1 / pico” package from here http://opengapps.org/. Now reboot in system and setup your system. Before installing Resurrection Remix 5.8.3, it’s highly recommended to install official MIUI Android 7 ROM and TWRP for Android 7, otherwise you may get issues with rebooting into recovery mode. Quite good Android 7.1.2 ROM with stable performance and long battery life. The only thing is that you’ll need to add root manually, since it’s not built-in. Another freshly released Android 7.1.2 Custom ROM. Visit official XDA Thread for more information. How to install Hexagon Rom on Redmi 4X? 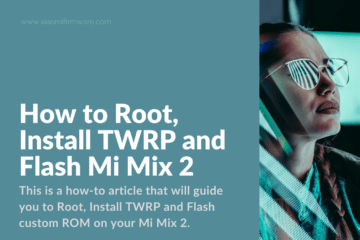 Install TWRP based on Android 7 kernel. Boot into TWRP and go to “Wipe” menu. Now go to “Install” menu and select downloaded ROM .zip archive. Optionally install Gapps for ARM64 / 7.1 / pico. Clean Android ROM version ported from Xiaomi Mi A1 to Redmi 4X. Everything works pretty quickly, smoothly and without critical bugs. It’s highly recommended to backup your device before flashing Custom ROM. Sometimes this ROM could stuck on the first start setup, then simply reboot your phone and setup personal settings once again. Download Android One Port for Redmi 4X from the link above. 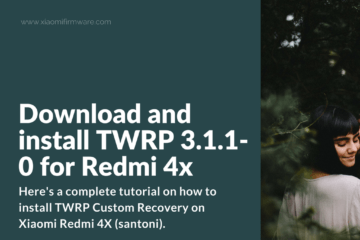 Boot into TWRP Custom Recovery and wipe “Data”, “Cache” and “Dalvik Cache” partitions. Reboot into system after flashing is completed. When you flashing this two ROM your Gyroscope leads to failed and auto rotation is not working. Link to AOSP Extended for Redmi 4X is not working.